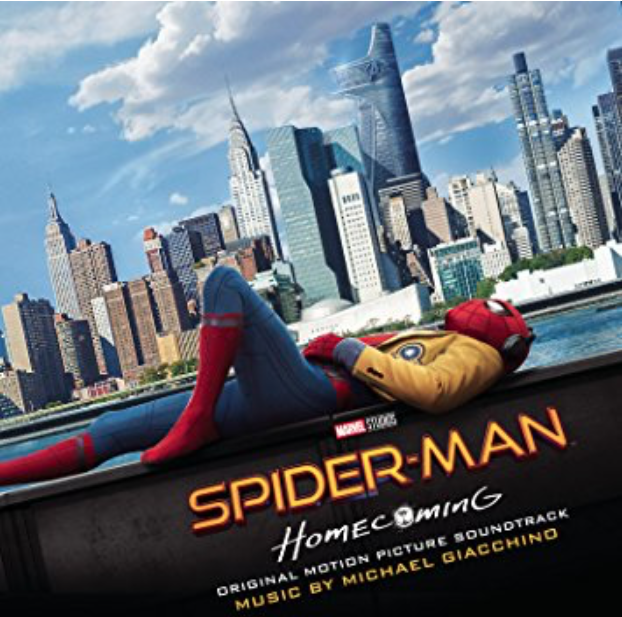 Sony Music proudly announces the release of "SPIDER-MAN: HOMECOMING" (Original Motion Picture Soundtrack) featuring the music of Grammy® and Academy Award®-winning composer Michael Giacchino. The soundtrack will be released on July 7 and is available for pre-order here. SPIDER-MAN: HOMECOMING stars Tom Holland, Michael Keaton, Jon Favreau, Zendaya, Donald Glover, Tyne Daly with Marisa Tomei and Robert Downey Jr. The film is directed by Jon Watts and produced by Kevin Feigeand Amy Pascal. The screenplay is by Jonathan Goldstein & John Francis Daley and Jon Watts & Christopher Ford and Chris McKenna & Erik Sommers, with a Screen Story by Jonathan Goldstein & John Francis Daley, based on the Marvel Comic Book by Stan Lee and Steve Ditko. Composer Michael Giacchino has credits that feature some of the most popular and acclaimed film projects in recent history, including Inside Out, Jurassic World, The Dawn of the Planet of the Apes, The Incredibles, Ratatouille and Mission Impossible: Ghost Protocol. Giacchino's 2009 score for the Pixar hit Up earned him an Oscar®, a Golden Globe®, the BAFTA, the Broadcast Film Critics' Choice Award and two Grammy® Awards. Giacchino began his filmmaking career at the age of 10 in his backyard in Edgewater Park, New Jersey, and eventually went on to study filmmaking at the School of Visual Arts in NYC. After college, he landed a marketing job at Disney and began studies in music composition, first at Juilliard and then at UCLA. From marketing, he became a producer in the fledgling Disney Interactive Division where he had the opportunity to write music for video games. After moving to a producing job at the newly formed DreamWorks Interactive Division, he was asked to score the temp track for the video game adaptation of The Lost World: Jurassic Park. Subsequently, Steven Spielberg hired him as the composer and it became the first PlayStation game to have a live orchestral score. Giacchino continued writing for video games and became well known for his Medal of Honor scores. Giacchino's work in video games sparked the interest of J.J. Abrams, and thus began their long-standing relationship that would lead to scores for the hit television series Alias and Lost, and the feature films Mission Impossible III, Star Trek, Super 8 and Star Trek Into Darkness. Last year, Giacchino's music could be heard in Zootopia, Star Trek Beyond, Dr. Strange, and Rogue One which marked the first score to be composed for a Star Wars film following John Williams. In addition to Spider-Man: Homecoming, Giacchino's projects for 2017 include War for the Planet of the Apes and The Book of Henry. Giacchino serves as the Governor of the Music Branch of the Academy of Motion Picture Arts and Sciences and sits on the advisory board of "Education Through Music Los Angeles". Sony Music Masterworks comprises Masterworks, Sony Classical, OKeh, Portrait, and Masterworks Broadway imprints. For email updates and information please visit sonymusicmasterworks.com/.